This soft, thick weave, non-treated fleece cloth is excellent for application and final shining of all Cory polishes. 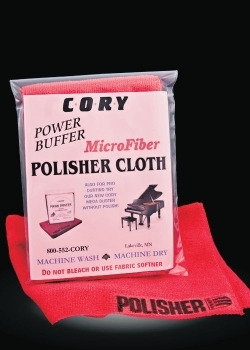 Super-sized power buffers are machine washable and durable for long lastng life. Red for polishing ... Grey for cleaning.